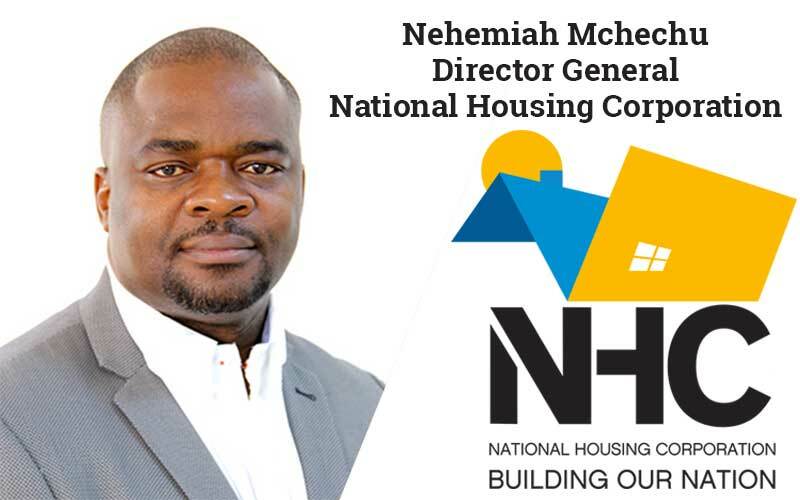 TanzaniaInvest had the pleasure on interviewing Nehemiah Kyando Mchechu, Director General of Tanzania’s National Housing Corporation (NHC), the Government’s company established to undertake an array of business in real estate. Mchechu explains about NHC’s current performances and development strategy and the investment opportunities available in housing in Tanzania. TanzaniaInvest (TI): NHC was established by the Government of Tanzania to undertake the construction of housing throughout the country. You came to lead this institution in 2010. What has been achieved so far and what is NHC’s current development strategy? Nehemiah Mchechu (NM): I was entrusted by the Government with the responsibility of heading the NHC in 2010. I was mandated to restructure this institution, get it back on track, restore its operational efficiency and instil the private sector culture in its delivery systems. Five years later, we are proud that NHC boasts of a balance sheet of around USD 2 billion. This balance sheet places the Corporation among the largest real estate developers in East Africa. The Corporation is also one of the largest real estate companies in the Sub-Saharan Africa in terms of property base. It owns nearly 20,000 housing and commercial rental units located in almost all of the major urban areas of Tanzania Mainland. My first duty in office was to determine NHC’s new strategic direction. In this respect, we managed to evolve the strategic plan for the 2010/2011- 2014/2015 period. This strategy revolved around six key goals, which we have decided to retain as pillars for the Corporation’s course for the coming 10 years i.e. during the 2015/16-2024/25 period. Under the first goal, we aim at turning around NHC into a main real estate developer in Africa. The second goal is focused on making NHC a leading real estate management firm. The third goal is aimed at improving the corporate operational efficiency. The fourth goal is people/employees centred in terms of developing both their competencies and wellbeing. The fifth goal is directed towards creating a conducive legal environment for smooth corporate operations. Under the sixth goal, we nurture our brand for both our products and services. The first three goals I have mentioned are particularly important for us. First, bearing in mind the mandate of alleviating housing poverty in the country that was bestowed upon NHC immediately after independence in 1962 and our current balance sheet muscle, we are dutiful to meet both the Government and public expectations of effectively responding to the housing demand and thereby reducing the housing shortage. It is through this noble responsibility that we have assumed a lead role in the growth of the real estate sector in the country. In the context of the foregoing role, we want to become the leading and mostly preferred real estate developer. Against this backdrop, we are aiming at delivering more units in the real estate market place of Tanzania. 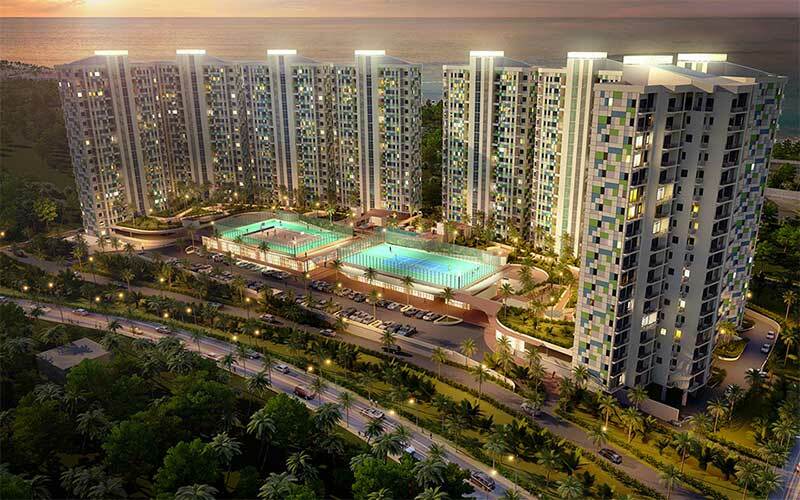 The said units include, residential houses, shopping malls, offices, and retail shops. Secondly, we are enroute towards becoming a leading real estate manager in the East African region. As I said earlier, we own nearly 20,000 residential and commercial units and we have clear future goals on these properties. For long, these properties lacked proper maintenance. The rent rates charged were indeed far below market rates and thus generated inadequate revenues to the detriment of property upkeep. The security of tenure for a good number of these properties was ambiguous. Our objective in this regard, is to redress these maladies and enable NHC to earn an adequate return on its properties. Thirdly, we are devoting our considerable efforts on enhancing the corporate operational efficiency and internal control mechanisms. As the scope of our products and services countrywide is enlarging, it is increasingly becoming imperative that we need to put in place better controls that are in tandem with the increasing portfolio size. Having good controls in place, ensures that our products and services are promptly delivered; mischievous behaviour are eradicated; right qualities are maintained through best local professional skills; and ultimately costs are minimise and affordable prices are achieved. As you know, delivery systems involve people. With people, there are always risks of varying magnitude that can easily kill businesses. It is therefore no wonder that, at NHC we are putting much attention on the control measures so that we can run our systems as effectively and efficiently as possible. TI: What are you doing on the financing side to promote access to housing to Tanzanians? To which extent are financial institutions operating in Tanzania lending to individual to buy houses? NM: Unfortunately and for long, in Tanzania banks have been shy on offering mortgage loans. However, with the enactment of the Mortgage Law in 2008 and the establishment of the Tanzania Mortgage Refinancing Company (TMRC) in 2010, banks have started to be forthcoming with mortgage lending. Public awareness on mortgage has also helped to increase the number of clients seeking for mortgage loans. Nevertheless, mortgage business though fast growing, is still nascent. For example, by the end of 2014, the ratio of outstanding mortgage debt to Gross Domestic Product (GDP) stood at 0.46%. The present mortgage market dynamics have motivated NHC into signing memorandum of understandings (MoUs) with 16 local banks for the purpose of providing mortgage loans to buyers of its properties. Under these MoUs, our property buyers are guaranteed favorable terms and conditions that include relatively lower interest rates. The fact that NHC is committed on repurchasing properties of defaulting buyers, affords mortgage banks an extra comfort to ease lending terms. Besides the foregoing initiative, we also devote time to understand the buyers’ banking requirements. We have thus opened a banks’ window at NHC which is dedicated to enlightening clients on banking and mortgage issues. TI: Another of your key issues for NHC is branding. Why is it so important? NM: After assuming my duties at NHC in 2010, apparently the Corporation had donned a bad image among the public. It was perceived by many as an inefficient institution that doesn’t care for its clients. Among my top priorities, was to turn around this negative image and making NHC into a trustworthy institution. This is why throughout the past five years we have embarked on the rebrand of the corporate products, services and culture. It is axiomatic that the stronger the brand, the more the people who trust in your products. Equally, important clients always want to be associated with strong brands. It is exhaling that today people have trust in us and regard NHC as one of the top performers among the government institutions. Over the spell of five years, the public compares us with other efficient private sector companies. Equally, clients have confidence in NHC’s products as a result of our strong brand and goodwill. Importantly, most clients are willing and ready to buy our products off the plan. To me, in today’s business life, developing a strong brand is more important than during the times we were undertaking the corporate reforms. It is therefore compelling to become more sensitive and cautious on the brand in the present competitive business environment. This is why we are always keeping ourselves abreast with the market dynamics so that we can maintain a positive perception of our brand. Today we are boasting of the realities of the new NHC as well as the ability to deliver good quality products and services, on time and at affordable prices. Besides, respectable brands with high reputation also win the trust of funders. It needn’t to be overemphasized that, investors will not put their capital in an institution which is shaky, weak, unrespectable and untrustworthy. TI: Talking of investment, why invest in real estate in Tanzania and why with NHC? NM: Tanzania has a housing deficit of around 3 million units which is growing at the rate of about 200,000 units per annum. NHC is mandated with the role of providing housing and other buildings including shop and office spaces to general public. Like in many other countries, investing in real estate business in Tanzania guarantees one of a fair return on investment. We are optimistic that we will be able to deliver not less than 1,500 units per annum for the coming 10 years. This is a small number given the acute shortage of housing facing the country. Nevertheless, I believe that this is fairly a good start. With regards to financing mechanism, our catch differs across projects. We have adequate financial resources for some of our projects. We also borrow to finance other projects. In some other projects we encourage developers to participate as either partners or sole investors. Under the later mode of financing we normally sell plots of land to such investors and enforce building standards. That is, we assume the role of a master developer. It is also noteworthy that, NHC is proactive when seeking for partners to finance its real estate ventures. These partners include both local and international investors. While seeking for partnership, NHC also endeavours to play the role of a gateway for investing in real estate in the country. On the other hand, NHC being a wholly public institution, has an advantage of being in direct relationship with the government. In other words, our efforts to propel the real estate industry to greater heights, have won the trust of the government. In this position, NHC can play an active role in shaping policies related to real estate sector development. It is in this regard that, for an investor being in partnership with the NHC, helps to resolve concerns relating to investing in real estate in Tanzania. TI: Is there a specific profile of investors you are looking at? NM: Yes, for foreign investors we have a capital threshold of USD 30 million. However, we are also open on this angle. Apart from capital, we also seek for skills, experience and other resources that can be exploited in our business undertakings and partnerships for mutual benefit. We really want to make use of the experiences of our partners. In this endeavour, we do not sit on the sidelines but we take an active role to learn new technical issues from these partners. TI: Is there any specific project for which you were urgently looking for investors? NM: Yes, we are looking for investors for the Kawe satellite town project which is locate in a prime area of Kinondoni District in Dar es Salaam City. In this area, we are developing a new commercial business district (CBD). We have started developing this project since November, 2014. I have no doubt that for the coming 7 to 10 years, Kawe area will be bustling with businesses ranging from shopping malls, offices, high class residential, hotels and recreational facilities. We are inviting partners to come in. We are flexible on what these partners can contribute as well. We consider each of investment options on its own merits. Besides the Kawe satellite town project, we also have two similar projects in Arusha in north-western Tanzania. Arusha is a gateway to Tanzania’s famous national parks that attract tourists from all over the world. At completion, these projects that are located in Burka and Usa River areas, will provide some 2 million square meters of properties that include, inter alia, trade centres, shopping malls and residential properties. TI: Prior to joining NHC you were the MD & CEO of the Commercial Bank of Africa Tanzania, [at that time the youngest CEO within the banking sector in East Africa] and have a long experience in the private sector in the country. How do you see Tanzania few years form now? What would be your piece of advise to investors looking at Tanzania? NM: I foresee a very, very bright future for this country. Now we have a new Government that is committed to preserving the political stability and conducive investment environment that have prevailed all along. I firmly believe that, today’s political constituency will set a new platform for what the country is hitherto to be. I am wishing that there will be more big investments flowing in apart from those going to the natural gas industry. I mean, not just investments related natural resources like gas or minerals. There are many other investment opportunities which have bigger positive socio-economic impact as well as the wellbeing of our citizenry. The real estate industry in Tanzanian has the potential of generating USD 2 billion each year. This is more than 6% of the country’s GDP. As you may be aware, this industry has the greatest multiplier effect on other economic sectors. It impacts on almost all industries. Besides, it employs professional and non-professional skills, that is, be it the educated or the non-educated labour force. Presently, NHC has about USD 400 million worth of ongoing projects in real estate. In my opinion, this will reach USD 800 million during the coming five years. Finally, I am strongly convinced that Tanzania is one of the most attractive countries to invest in. Though the country’s infrastructural capacities are not as developed as those of the developed world, foreign investors coming to Tanzania will find the country a passionate place. In view of this, they need to listen to local counterparts, understand them and understand the country’s laws and policies. Tanzania is endowed with a spectrum of investment opportunities and good people. These endowments are complemented by investment friendly policies.